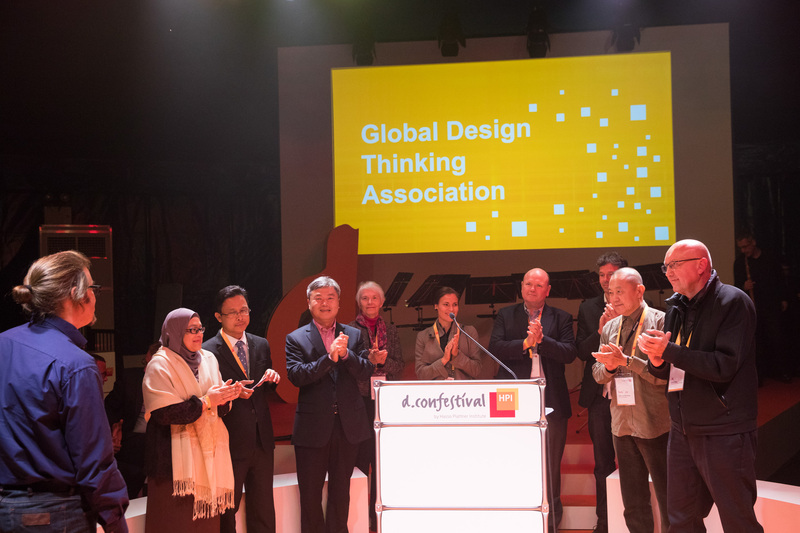 The goal of the Global Design Thinking Association (GDTA) is to preserve the diversity in Design Thinking that has developed all over the world as well as to set standards in teaching and research. The GDTA currently consists of 10 founding institutions who are eager to intensify their dialogue and exchange on Design Thinking. Professor Ulrich Weinberg, head of the HPI School of Design Thinking, will be the first president of the newly founded GDTA which will be based in New York. Dato Lee Yew Meng from Genovasi Malaysia also strongly supports the founding of the new association. “The GDTA must set standards for coaches and teaching” he says, aiming to keep the standard high. London School of Economics, Department of Management; Genovasi Malaysia; HP Institute of Design at the UCT; Ivey Business School; Open Lab Stockholm; Communication University China (CUC); University of British Columbia; Queensland University of Technology, V&A Museum of Design Dundee, and HPI School of Design Thinking.